Manchester United have become a force to be reckoned with under interim boss Ole Gunnar Solskjaer. From a team that looked destined to secure a mid-table finish in the Premier League under Jose Mourinho, the Red Devils have now transformed into a unit that seems very likely to finish inside the top 4, considering the blazing hot form they are in. The Mancunians are currently level on points with 5th-placed Arsenal, and just three points behind Chelsea, who precariously sit in the fourth spot at the moment. Not only have United climbed up the league table swiftly, but they have also expertly progressed through to the latter rounds of the FA Cup. 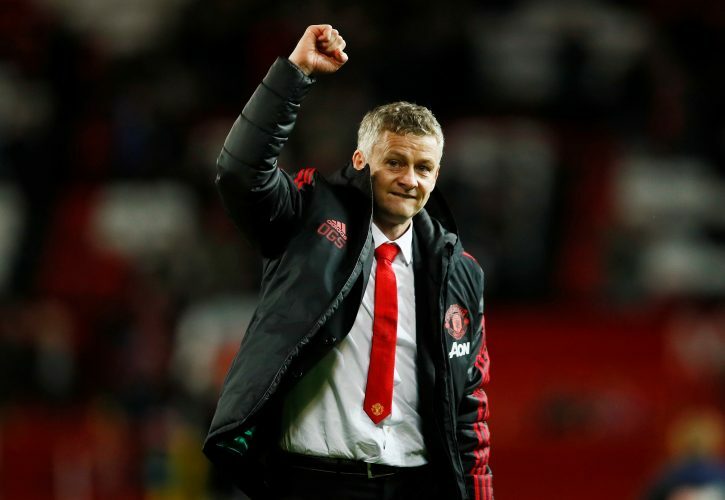 While most of the opponents Solskjaer and co. have faced so far have been minnows in comparison, the Norwegian does boast of impressive wins against top sides, viz. London giants Tottenham Hotspur and Arsenal. The 45-year-old has already broken several records during his 8-match winning run, and he looks set to bag a big one yet again, when his side takes on Burnley next. If Manchester United beat Burnley on Tuesday, Solskjaer will become the first manager in Premier League history to win his first seven league games in-charge of a club. The current record is held by Manchester City boss Pep Guardiola and former Chelsea gaffer Carlo Ancelotti, with six successive victories to both their names. The Reds are expected to secure a comfortable win over the Clarets, and if they do collect the three points, Solskjaer will bag another personal accolade, whilst beating the manager of their derby rivals in the process.